Siddhpur “the pious” is a surprising town, on the banks of the Saraswati river. 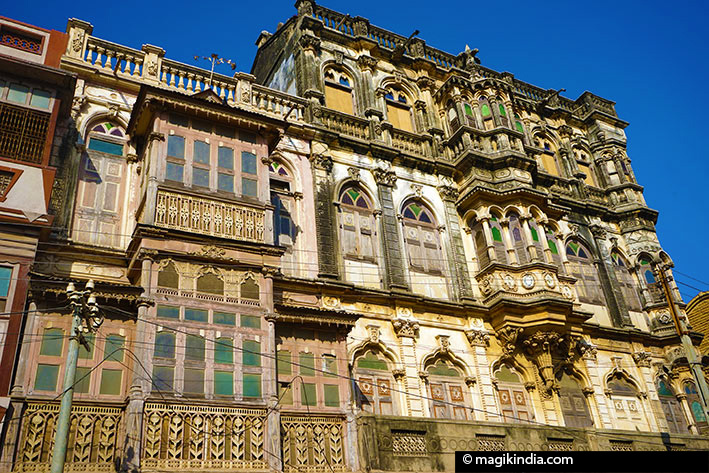 Its sacred atmosphere is rather reminiscent of Varanasi while the mansions of the Bohra merchants immerse you in the totally different atmosphere of Victorian era. Siddhpur is mentioned in the Vedas as Sri-Sthal or “pious place”. The great Mahabharata epic mentions that the Pandavas brothers visited it while in exile. 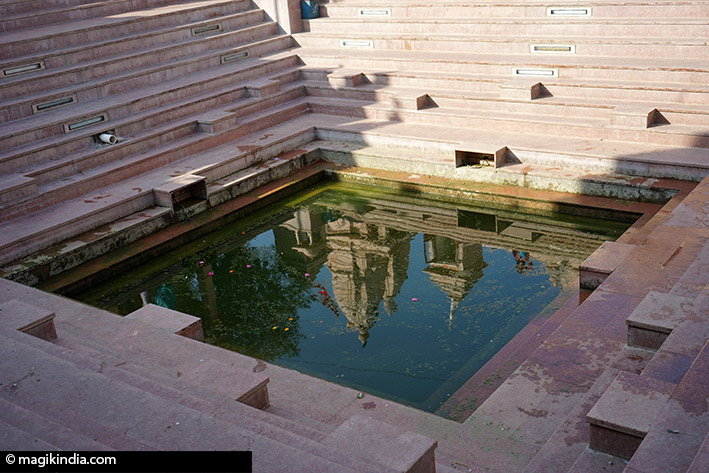 The city boasts one of Hinduism’s five most holy bathing places or theerthas. It is called Bindu Sarovar; the others are Manas Sarovar in Tibet, Pushkar Sarovar in Rajasthan, Narayan Sarovar in Kutch (in Gujarat) and Pampa Sarovar in Karnataka. 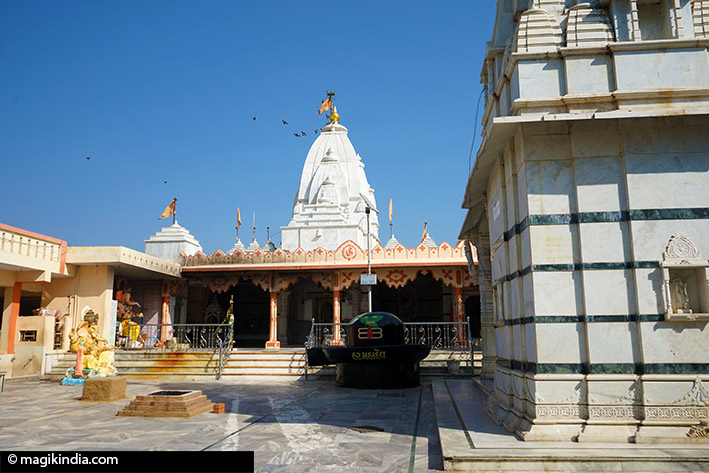 Siddhpur also boasts five Swayambhu Lingams (lingams auto-manifested). 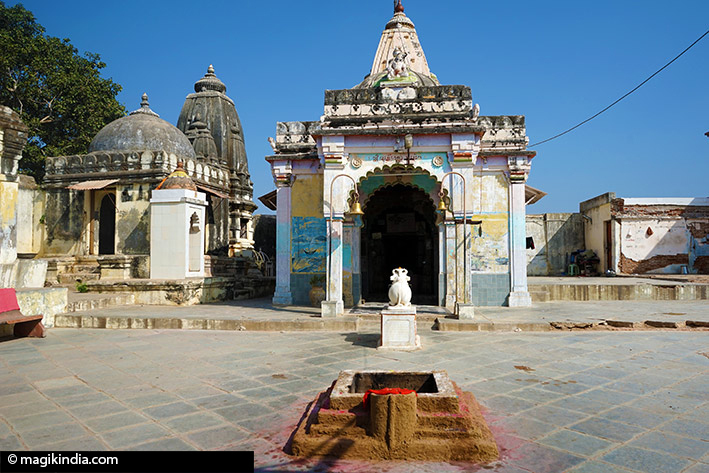 Siddhpur literally means “Siddhraj’s town”, referring to the 10th century Solanki ruler Siddhraj Jaisingh. The town was at the peak of its splendour under his rule. He built a magnificent temple to Shiva called Rudra Mahalaya, though it is now in ruins (see below). 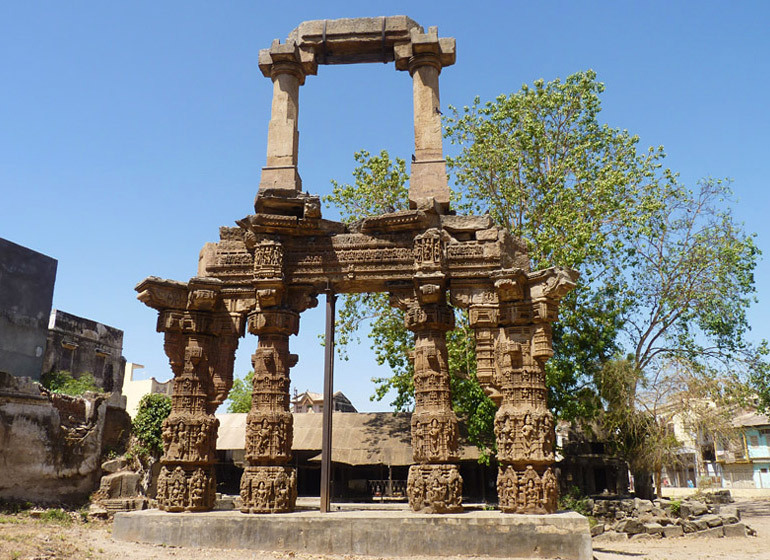 In the 12th century Muhammad Ghori destroyed the town on his way to Somnath and putting an end to the Solanki dynasty. The Bhagvata Purana, a collection of mythological texts, associates Siddhpur with Rishi Kardama who is said to have had his hermitage there, and his son Kapila Muni, who was born there on the banks of the sacred Saraswati river. 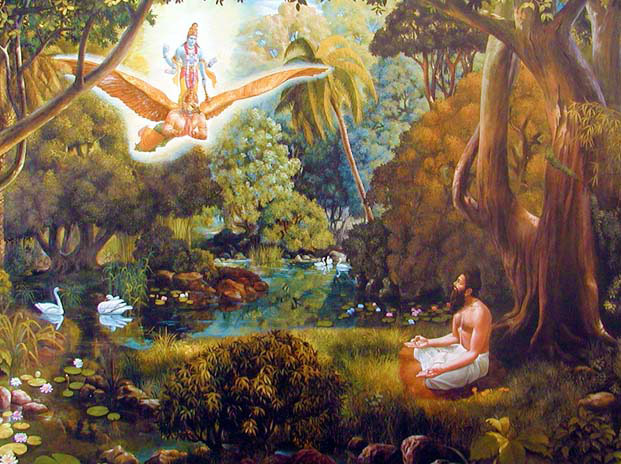 According to the legend, Kardama was the son of the god Brahma. He was a great sage and did penitence by the river Saraswati. After many years of austerities Lord Vishnu appeared to him and blessed him, saying he would soon have the opportunity to have a beautiful wife called Devahuti, nine daughters who would all bear future Rishis, and a son who would be the reincarnation of Vishnu. Lord Vishnu said that on the birth of his son, Kardama would have to leave again and spend his life in penitence to realise God. The son of Kardama Muni and Devahuti was called Rishi Kapila. 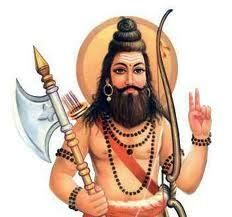 He was a sage of the Vedic period and founder of the Samkhya, one of Hinduism’s six classical schools. The Bhagavad Gita describes him as a hermit possessing highly developed siddhis or magic powers. Kapila is regarded as one of the incarnations of Vishnu. When Kardama left Bindu Sarovar to become a monk, Kapila took over his father’s ashram. 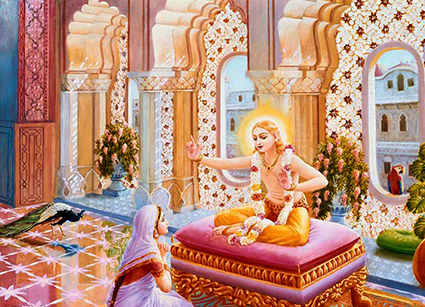 One day his mother Devahuti remembered that Vishnu’s purpose in reincarnating as Kapila was to once more spread the message of Sankhya Yoga, which is a combination of devotion and mystical realisation. She asked her son to teach her. Once Kapila had transmitted spiritual understanding to Devahuti and the other ashram residents, he left Bindu Sarovar just as his father had done. Devahuti, following her son’s spiritual teachings, realised god in herself and was transformed into a sacred river called Gyanavapi where demi-gods and sages came to bathe for purification. The place became an important place of pilgrimage called Siddhpur. 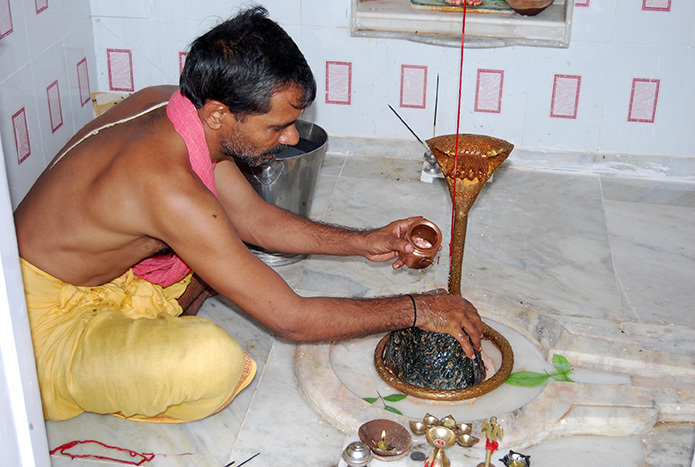 Siddhpur is the only place in India where exclusively matru-shradh ceremonies are performed. A shradh is a Hindu ceremony for the salvation of deceased family members. It is believed that the soul of a dead person wanders until this ceremony is performed. Once it has been performed, the person’s soul is satisfied and can obtain liberation (moksha). 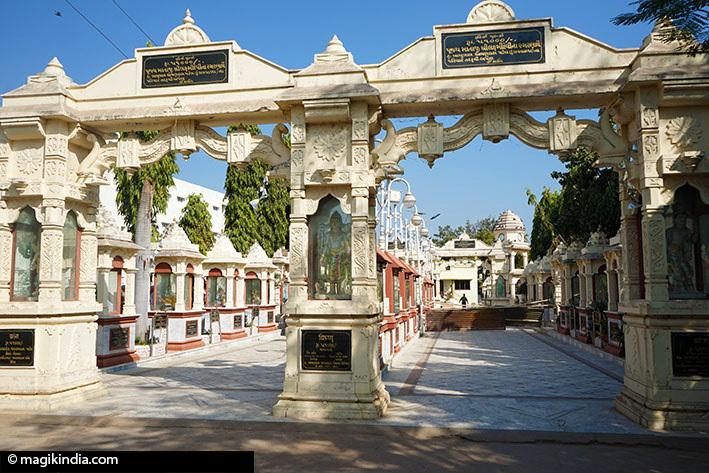 What is special about Siddhpur is that the shradhs conducted here are exclusively for the benefit of deceased mothers (matru is Sanskrit for “mother”). According to the legend, Parashuram, the sixth avatar of the Hindu god Vishnu, performed a pind daan or shradh for his mother Devi Renuka on the banks of the Saraswati at Siddhpur. 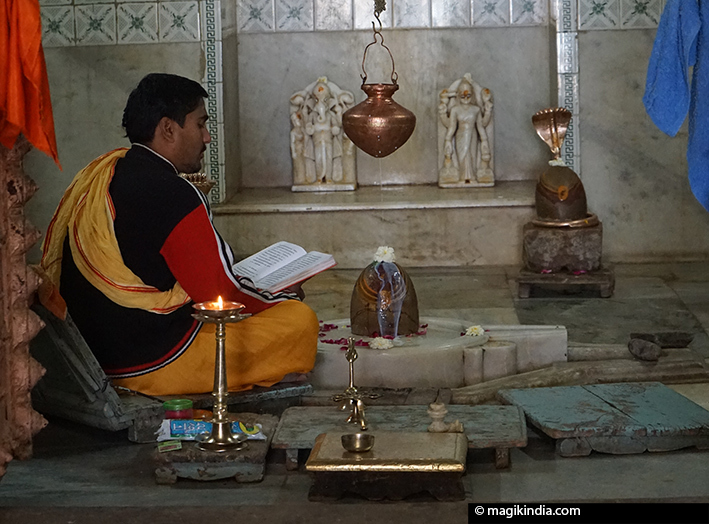 Ever since, pilgrims have come to Siddhpur from all over India to perform this puja (ritual). At these ceremonies, balls of rice called pind are generally offered to the ancestors, whence the term pind daan. 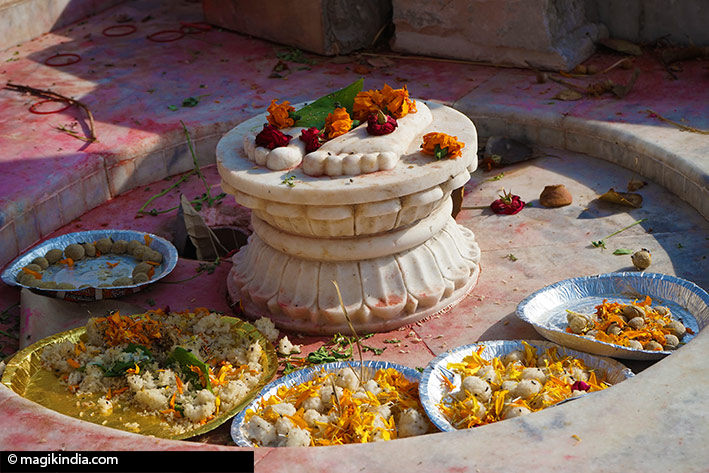 Matru-shradh ceremonies take place by the Bindu Sarovar bathing tank at Kapilamuni ashram. 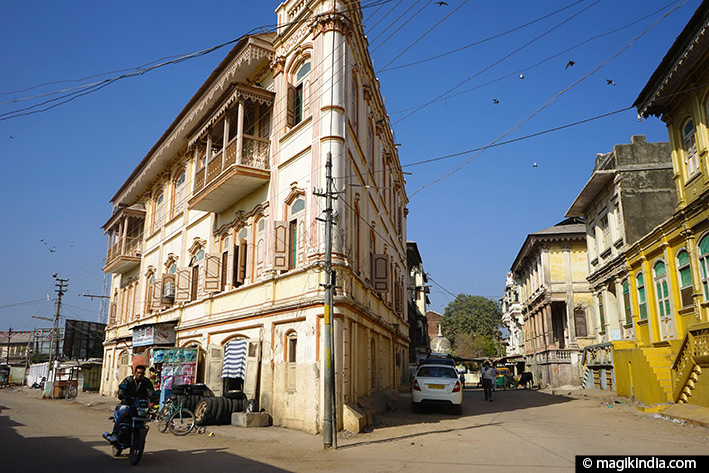 Another distinctive feature of Siddhpur is the havelis (mansions) built by members of the Dawoodi Bohra muslim merchants. The word bohra comes from the Gujarati word vohorvu, which can be understood as “trader”, and even today most members of the Bohra community work in commerce. 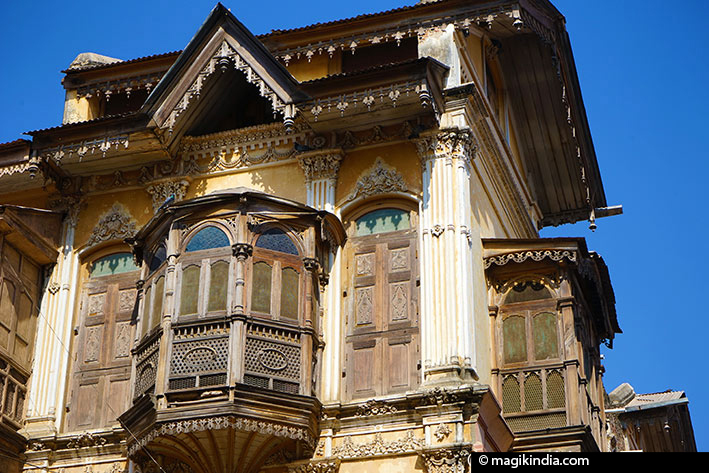 The builders of these 20th-century havelis took inspiration from Baroque, Gothic, Victorian and Art Deco architecture. 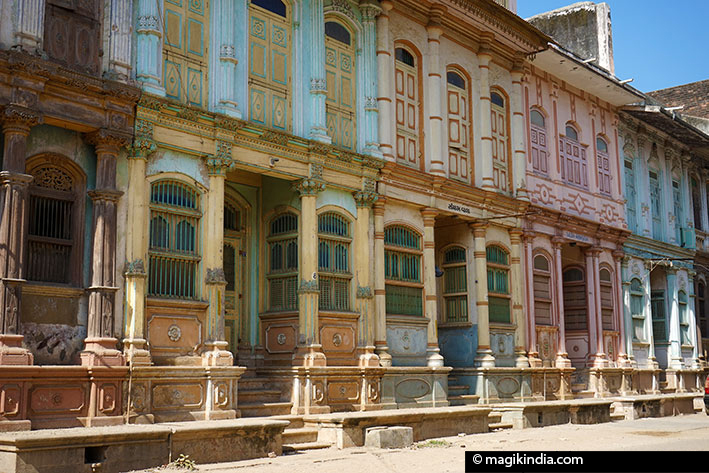 Strolling in the Bohra district or Bohra Vad is a treat for the eyes. Unfortunately, many of the Dawoodi Bohra have left Siddhpur for greener pastures and most of these fine houses are abandoned. All that is left of this Shiva temple are its ruins, but one can imagine how magnificent it once was. 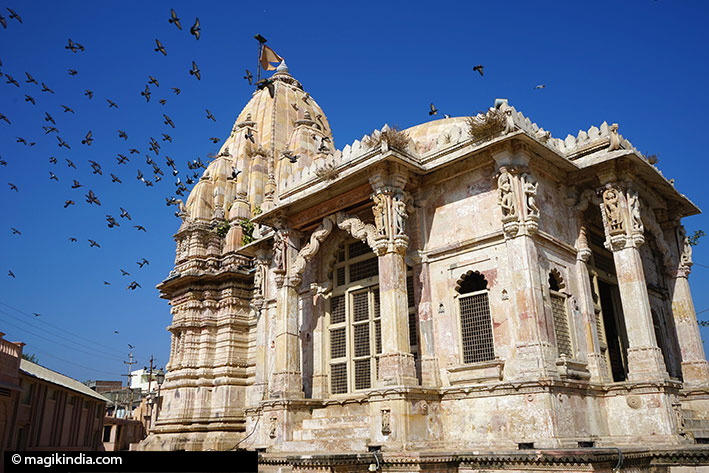 It was built by the Solanki ruler Siddhraj in the 12th century. It was an architectural wonder with a three-storey shikhara (spire), 1600 pillars, 12 entrances, a central hall or mandapa, porches on the east, north and south sides and an inner sanctum on the west side. Around the temple are 11 shrines dedicated to Rudra. The temple boasted exuberant ornamentation, as can be seen from the detailed, elaborate sculpting of the pillars and the magnificent toran (arch), one of the few parts still standing. NB: When I visited in January 2015, the site was closed to the public and guarded by the army owing to an ownership dispute. It can only be viewed from outside, and you cannot take photos. 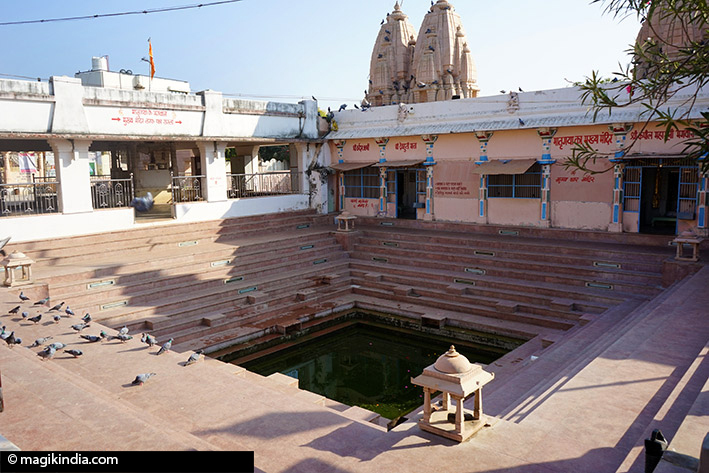 Bindu Sarovar is one of India’s five most sacred bathing tanks.It is the place where matru-shradh ceremonies are performed for the souls of mothers. Hindu mythology tells us that this is where the saint Sri Kapila taught his mother the path to liberation (moksha) though Sankya philosophy. The central tank is the one that is supposed to be filled with the tears that Vishnu shed when he saw how Sri Kapila revered his mother. 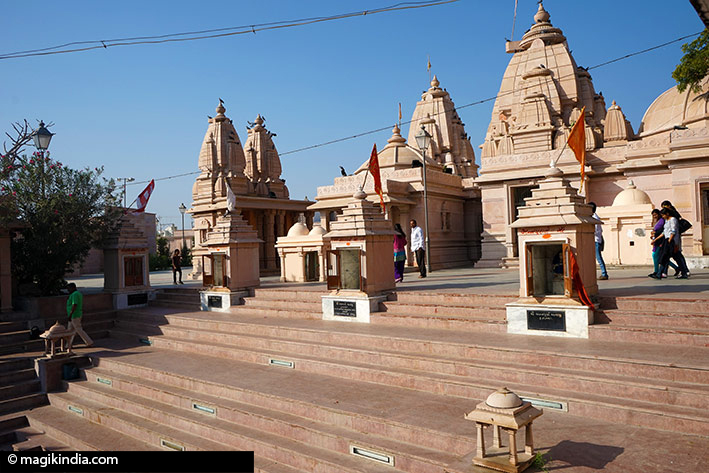 Siddheshwar Mahadev temple is located near the Bindu Sarovar. It houses one of the town’s five Swayambhu Lingams. 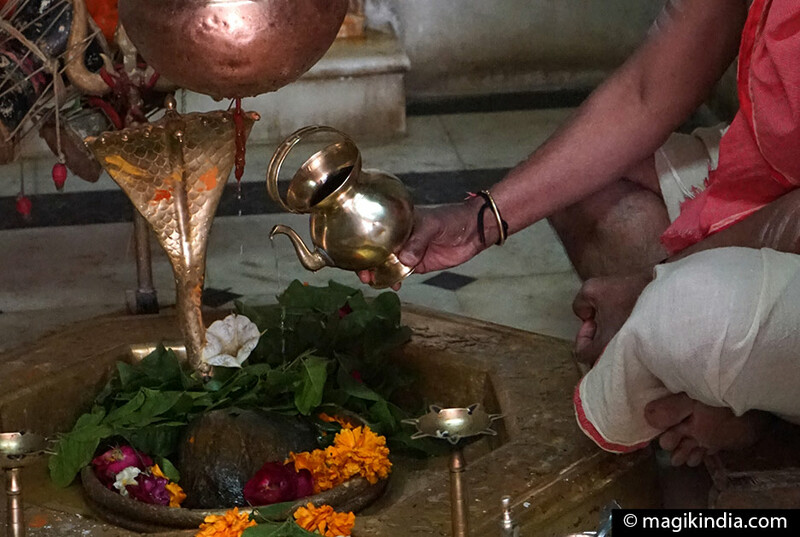 Pilgrims believe that bathing in the Bindu Sarovar and worshipping Lord Shiva at the Siddheshwar temple purifies them and grants them their wishes. Ardeshwar temple has long been associated with Nath Sampraday (siddha initiation). A Siddha is a term that is used widely in Indian religions and culture. It means “one who is accomplished”. It refers to perfected masters who have achieved a high degree of physical as well as spiritual perfection or enlightenment. 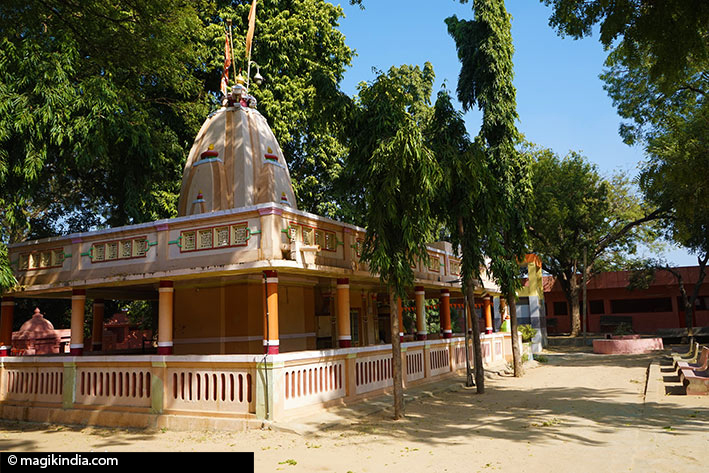 One of the five Swayambhu Lingams of Siddhpur is in this temple. Many different Pujas (rituals) are still conducted here. This lovely temple stands on the other side of the Saraswati river, across town. It houses another Swayambhu Lingam, called Dhagla Bapji. 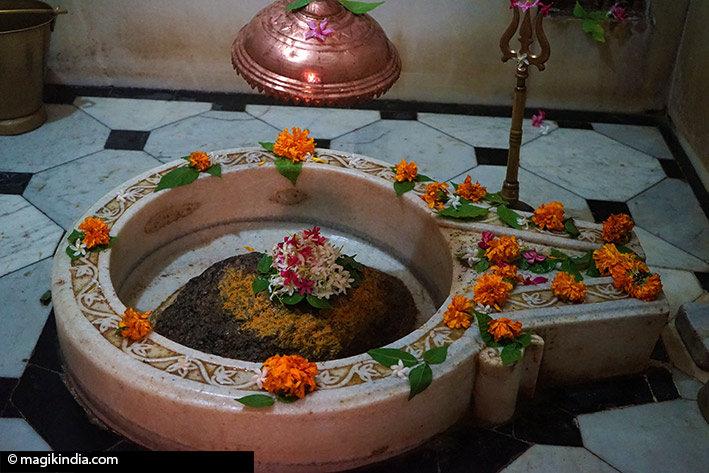 The Walkeshwar temple also has one of the five Swayambhu Lingams of Siddhpur. It stands on the opposite bank of the Saraswati, near Bhramandeshwar Temple. 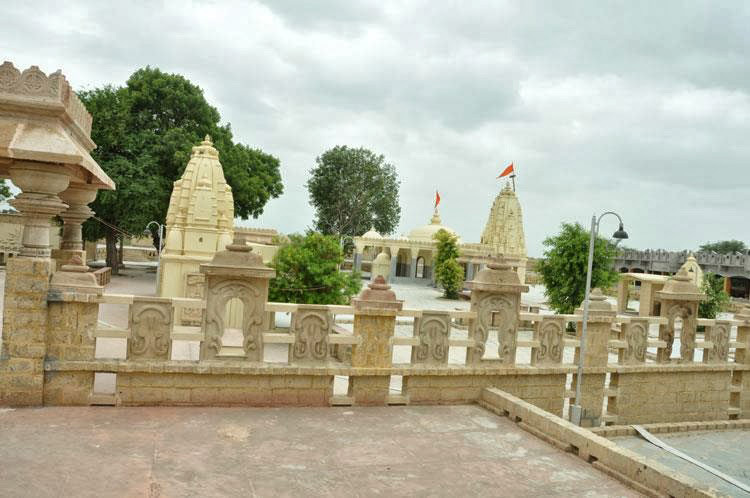 Vatesvar Temple is about 6km from Siddhpur, in the village of Dethli. 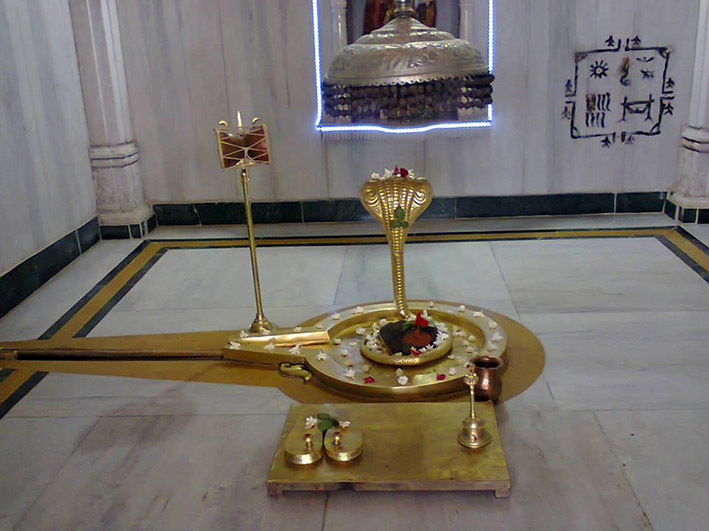 It is connected with the sage Rishi Dadhichi. According to legend this is also where the Pandavas brothers took refuge during their exile. The temple houses one of Siddhpur’s five Swayambhu Lingams. Muktidham is a smashan, a cremation ground, and is well known for its sacred funerary rites. It is said that the souls of the dead can find salvation (mukti) here. Hare Krishna Mathini, looking at your website, photos and explanations, I’m a little afraid that you’re an Iskcon ex gurukuli .. right? your site is really amazing, with places we do not know exist. I would like to know how you work. If I wanted to visit some of the places that you suggest, you would accompany me or give me information about how to get there, where to stay etc. Very grateful for your attention. Jay Sriman Narayana! Haribol! Hi Kula, no I don’t belong or was in Iskcon mission. I’m just a lover of India and of its ancestral culture. 🙂 Please feel free to contact me through email.